In just one month, Trump has made historical pardons in the case of Jack Johnson and Alice Johnson. In doing so and righting wrongs, Trump is changing the unfairness of the justice system towards the black community. 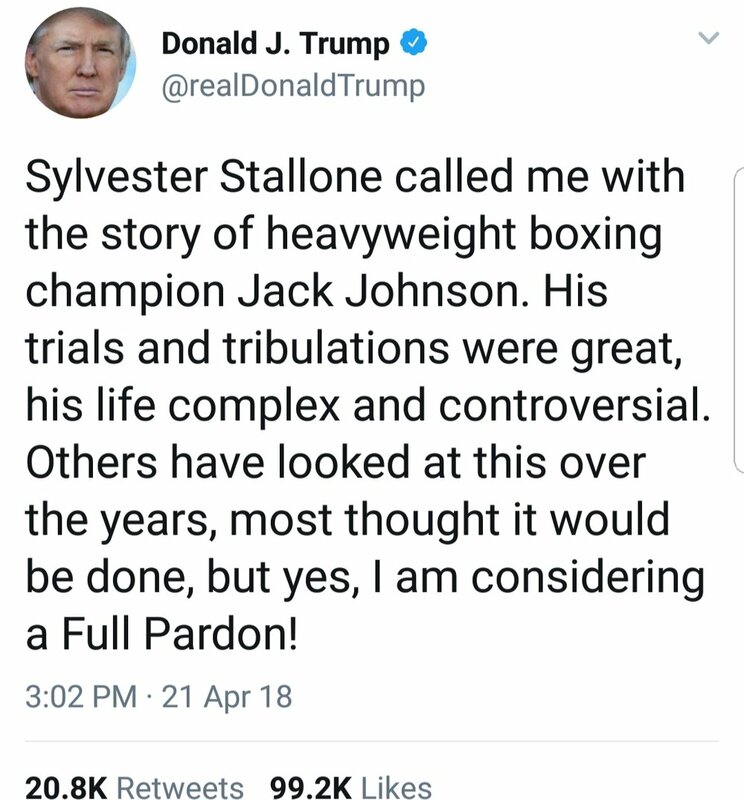 In the case of Jack Johnson, Sylvester Stallone approached President Trump and suggested consideration of the pardon of the first heavyweight black boxing champion. Trump agreed and granted a full posthumous pardon. Jack Johnson's miscarriage of justice began when he was convicted of the Mann Act, a law which was created to prevent trafficking and prostitution across state lines. In taking his white girlfriend at the time over a state line, Johnson was racially targeted and sentenced. In the past, Obama was approached about considering a pardon for the legend, to which he never took the opportunity to do so. Former president George W. Bush was also approached and subsequently turned down the idea of a pardon. Alice Marie Johnson, a grandmother, served lockup for over 20 years after conviction of a drug trafficking crime. After her child was killed in a motorcycle accident and a divorce, Alice made bad choices which led to her lockup as a first time non-violent drug offender. During her time incarcerated, Alice became an ordained minister and found God. Kim Kardashian became interested in Alice Johnson's case after seeing her story on twitter. Kim understood that Alice went through a rough time with a divorce, a death of a child, and made choices that forever changed her life. Upon hearing Alice's story, Kim decided to get involved and help change Alice's life. 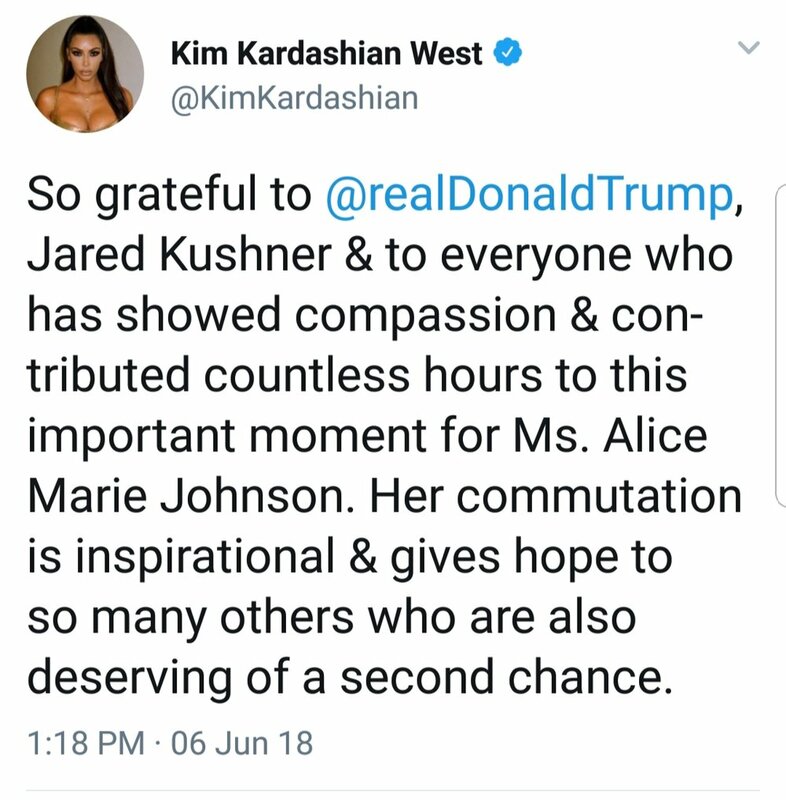 As a result, Kim visited President Trump with an open mind and lobbied for the release of Alice. Trump agreed and Alice, on the same day as her birthday, was granted clemency, agreeing that Alice deserved a second chance at life. 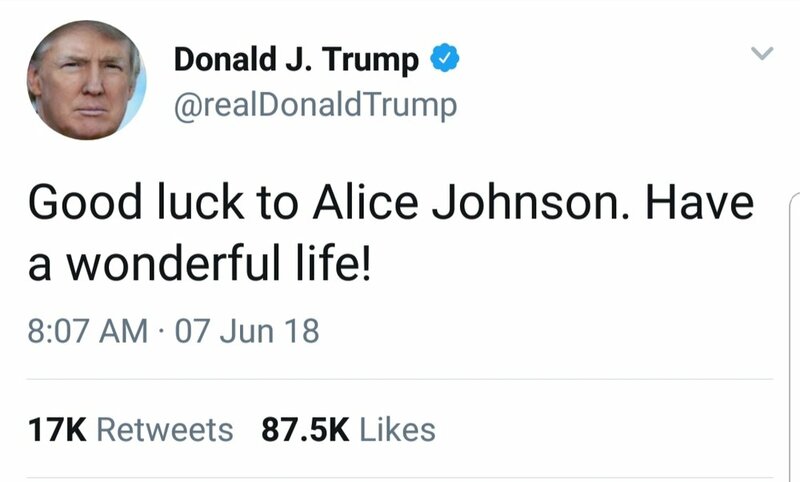 I think in light of both Jack Johnson and Alice Johnson, Trump has shown that the injustice of both Jack and Alice didn't have to be permanently etched into history. Upon hearing both cases, Trump's heart reached out and corrected the wrongs committed. When we look at the justice system, it is true that many people are incarcerated harshly for smaller crimes, and I think that an overhaul in the justice system is needed when the incarceration rate is much higher in the United States than many other countries. It is true, that marijuana possession contributes to almost HALF of the drug arrests in the US. In recent news, Trump is rumored to be deciding on ending the federal ban on marijuana soon. Ending the federal ban would free up some of the excessive incarceration of small-time drug offenders. Many of these offenders, were working and self-sufficient members of society. And if you think about it, it is a little silly to make pot illegal when alcohol does so much more damage, when you look at the drunk driving statistics. I think, in time, Trump may well be the first president in a long time to address the issue of an overpopulated incarceration rate. As it stands, per capita, the US is the highest next to Russia. It also is true, that prison reform may well be another indelible mark of the Trump Doctrine. As the case stands with Alice Johnson and Jack Johnson, second chances can change a life by giving redemption to those who have proven they have more than served their time behind bars.